Looking for high performance in SQL tuning? Look no further. 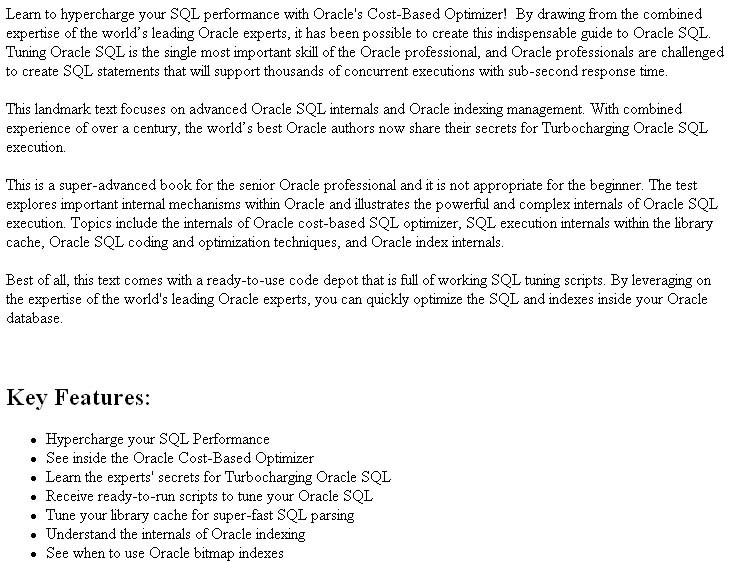 This advanced SQL tuning book offers expert opinion and instruction in SQL tuning and Oracle CBO internals. SQL tuning is one of the most important skills of the Oracle professional. 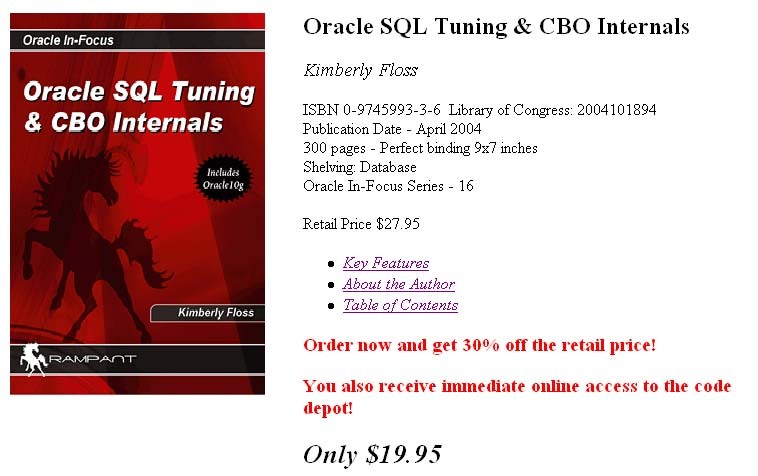 Learn all about tuning in this premiere Oracle CBO SQL tuning book.